photo by Andrew Goff Steelhead heads on down the line in Mad River Brewery’s Blue Lake facility. It's always nice to have the respect of your beer peers. Through the course of our travels to the other Humboldt breweries, we asked them which of their local peers they were most impressed with. 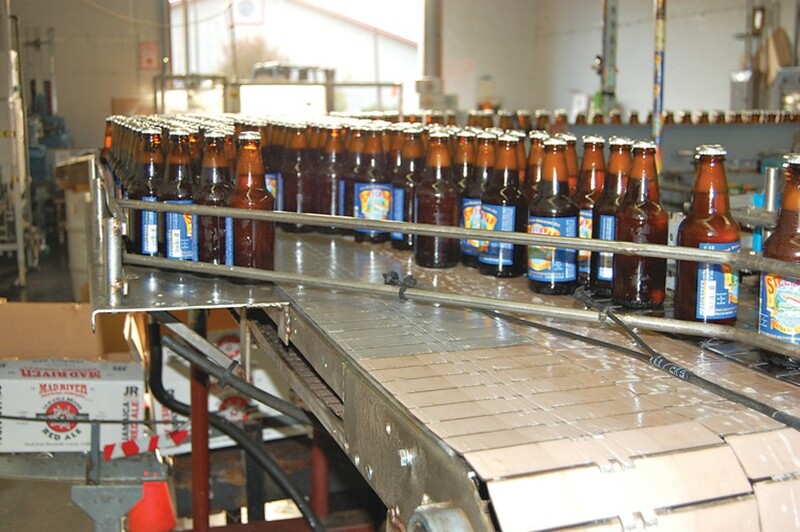 Every one of them cited Mad River Brewery as an exemplary operation, especially where it counts -- in the beer. Locally, it's the brewer's brewery. 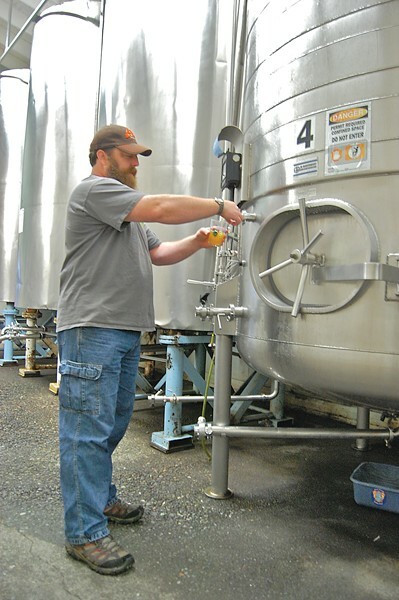 "They're pretty cutting edge," said Eel River Brewery owner Ted Vivatson. They were similarly admired amongst our beer panel. "They care about beer," said Patrick Hawkins to a chorus of approval amongst his fellow imbibers. Respect for Mad River Brewery is not confined to Humboldt. At the Brewers Association's 2010 Great American Beer Festival -- the Academy Awards for beer -- the brewery took home the highly coveted Small Brewing Company and Small Brewing Company Brewer of the Year award to add to its increasingly crowded trophy shelf. Also receiving high marks from the whole of HumCo's beer community was Mad River's head brewer and beard cultivator Dylan Schatz -- specifically his team's willingness to experiment, the consistency of his product and his all-around humble, nice guy-edness. Before landing at Mad River 12 years ago, he spent time in Santa Barbara County's restaurant scene as a cook, discovering a love for playing and experimenting with various ingredients. "I love to cook," he says. The transition to brewing beer was a natural one. "A lot of it is science; a lot of it is art." Founded: 1989; Barrels produced annually: 13,000; Annual revenue: $3 million; Employees: 30; Notable beers: Steelhead Extra Pale Ale, Jamaica Red Ale, John Barleycorn Barleywine. Other Humboldt Beer Maker Profiles: Eel River Brewing Company, Lost Coast Brewery, Redwood Curtain Brewing Company, Six Rivers Brewery.